When my daughter and I entered SeaWorld on a warm and sunny day last November, instead of going on a roller coaster, we ended up spending quite a bit of time in the Manta Aquarium, which is very close to the entrance, as you can see in this map of SeaWorld. 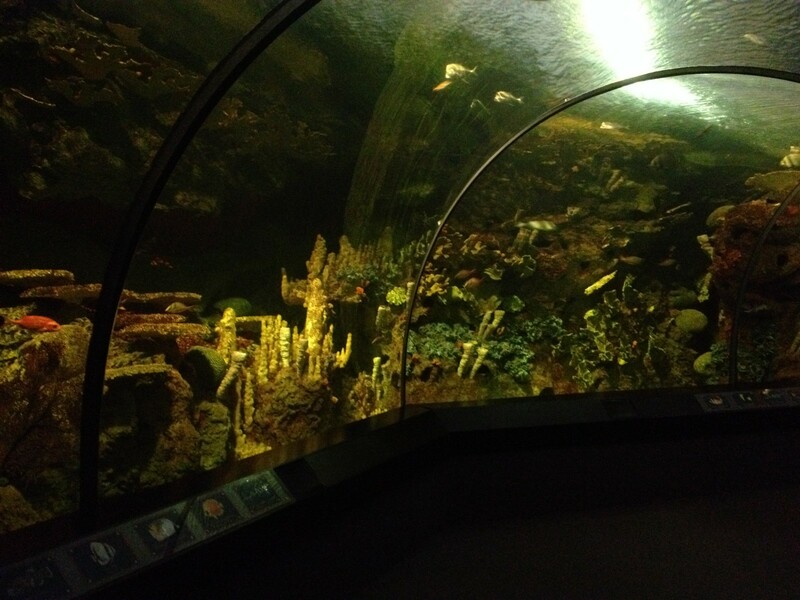 First there was the large tank with school of fish, rays, and sharks swimming around that kept my daughter mesmerized for quite a while. We knew from the labels placed that the area includes Leopard Stingrays and the Cownose Stingrays, and we learned how to distinguish them. Then we spent several minutes watching the sea dragons, sea horses, and shrimpfish float gently around their aquariums. Again, from the museum captions posted nearby we learned that sea dragons are collected illegally and over-harvested, but that an even bigger threat is pollution, coming not just from oil spills, but paint, oil, and fertilizers poured down the drain. Both the Weedy and the Leafy Sea Dragons’ aquaria were pretty dark and we weren’t supposed to use flash as not to scare the animals, so I did not get a good shot of a Weedy Sea Dragon. You can see a nice photo of Leafy Sea Dragons in the blog post “Sea Dragons” by Backyard Zoologist, and you can also read about Sea Dragon’s in National Geographic’s article “Leafy and Weedy Sea Dragons” as well, but National Geographic did not include a photo of a Weedy Sea Dragon either, just the Leafy Sea Dragon. The best picture of a Weedy Sea Dragon that’s not copyright protected that I found was taken by John ‘K’ and posted on Flickr. Do click on the image to go to the photographer’s page and click the star to let him know you like the photo. After leaving the Manta Aquarium, my daughter and I meandered around a bit and watched the Pets Ahoy show, where we learned that all pets used in the show came from a shelter. The show ended with a plea to parents considering getting a pet for their kids to adopt from a shelter instead of getting one from a pet shop. When we got to the Shark Encounter area, we were learning quite a bit again, thanks to a huge panel with dozens of tidbits about these amazing fish, some of which are as short as 8 inches (dwarf dog shark), while others can be as long as 60 feet (whale shark). Shark eyes are good for seeing moving objects in dim light. Sharks can smell components of meat and blood from several miles away – in concentrations of only one part per billion. Sharks lived long before humans, long before dinosaurs. The ancestors of modern sharks swam the seas 350 million years ago. Unlike other animals, they have changed very little since. Only a handful of species have been known to attack humans. 5 – Human fatality average every year from sharks. We vowed never to have shark soup. Ever. By the way, the featured image at the beginning of this post was taken at Shark Encounter as well, and shows shark eggs illuminated from behind to better show the embryos. if you’re all ears, you’ll get the answer! I believe this large guy at the Pacific Point Preserve is a Sea Lion, since he seems to have visible ear flaps (seals do not). 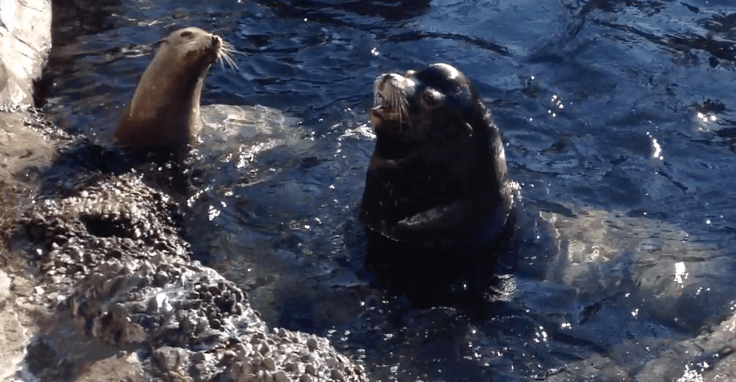 The seals, at least the Harbor Seals in that aquarium, do no have visible ear flaps, and are much quieter. While you’re in the neighborhood, don’t forget to see the Turtle Trek movie! There might be a line to get in, but it’s fully worth it to see this beautifully made 3D story (in the 360° theatre) of a baby turtle as he hatches then makes his way out to the ocean, dodging trash, seagulls and other dangers. Once he gets there, the ocean is no safe haven, of course, as the turtle we’re following encounters sharks and other predators, including humans. Be prepared to turn around frequently, since it’s a “standing room only” theatre, and if your children are on the smaller side, you might need to pick them up and hold them, so that they can see, and for reassurance, because they’ll cling to you at the more scary moments. Afterwards, my daughter also had fun playing the Turtle Trek game, which you can play either at one of the stands by the exit, or download on your tablet. All in all, I think my daughter got the message about the sea and ocean pollution quite clearly because she’s been commenting on trash we see on the beach, and helping pick it up if we have a trash bag to put it in. The line to get into the Antarctica: Empire of the Penguin might be quite long as well, but again, it’s worth it. The trip begins with a ride while a movie about penguins is shown on the screens all around you. You can choose a shakier or a milder ride. Afterwards you get to see a group of penguins both on land, and then underwater, and boy can those birds swim! Last, but not least, don’t forget to stop at the Dolphin Cove! My daughter and I had been to the Discovery Cove the day before, so she already had a chance to get close and personal with dolphins, but since she just loves, loves, loves dolphins, I splurged extra for getting into the area where you can feed the dolphins. (I’m afraid I don’t remember how much I paid, but I don’t think it was as much as the “Dolphin Close-Up Tour”). 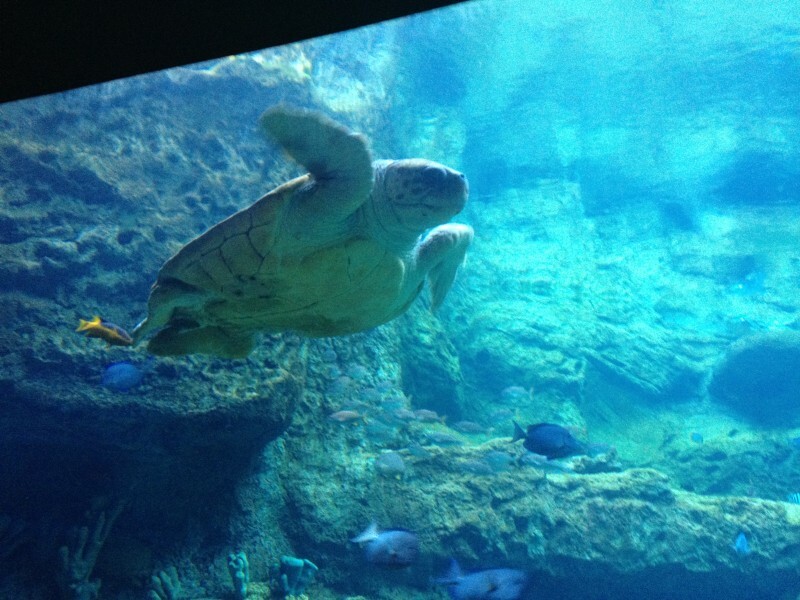 Overall, we had a lot of fun at SeaWorld, and while I know that some people believe animals should not be kept in captivity and trained to perform, we learned quite a bit about the ocean and all the amazing animals that live in it at SeaWorld. And even though the tickets and all the extras are not cheap (we did pay for everything ourselves, this is NOT a sponsored post, in case you’re wondering), I believe it truly was worth it. Mind you, even if you’re planning just a “learning” tour of SeaWorld, do give yourself a couple of days, so that you’re not rushed. Plus, there are also all the rides and the shows at SeaWorld, but that’s a topic for another post, that I’m sure someone has already written. 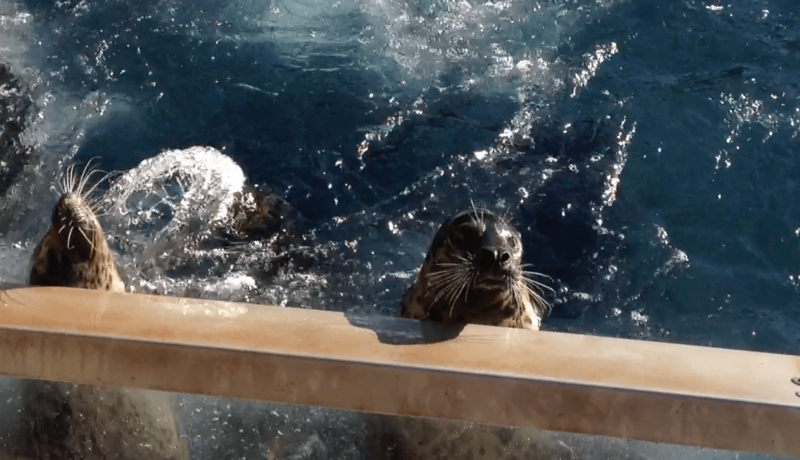 If you’re interested in seeing more videos, we have a few very brief videos taken at SeaWorld in our SeaWorld YouTube playlist. You can also see the photos we took in our Flickr SeaWorld, Orlando, FL album. And for your convenience, we included all sites linked to in this article on our Pinterest SeaWorld, Orlando, FL board. Feel free to re-pin. Do let us know if you have a blog post about SeaWorld, we’d love to include a link. And of course, comments are always welcome! SeaWorld offers a variety of ticketing options, from the cheapest SeaWorld Orlando Day ticket for $70, to a FlexTicket for 6 parks with unlimited visits for $389.95. When we visited, my and my daughter’s entrance was included in a ticket we bought for Discovery Cove, and my husband and my son bought one-day SeaWorld tickets. If you’re planning to visit the Discovery Cove as well, check out my “Going to Discovery Cove in Orlando, FL? Buy yourself a waterproof camera!” post for details. The time we visited SeaWorld, we stayed at the Marriott Cypress Harbour Vacation Club property, located at 11251 Harbour Villa Rd, Orlando, FL 32821, very close to the park. It looks like there is a lot to see and do at Seaworld! I think Seadragons are really fascinating – so pretty to look at. Yes, Fairlie, even though I do not like roller coasters, I enjoyed SeaWorld very much! 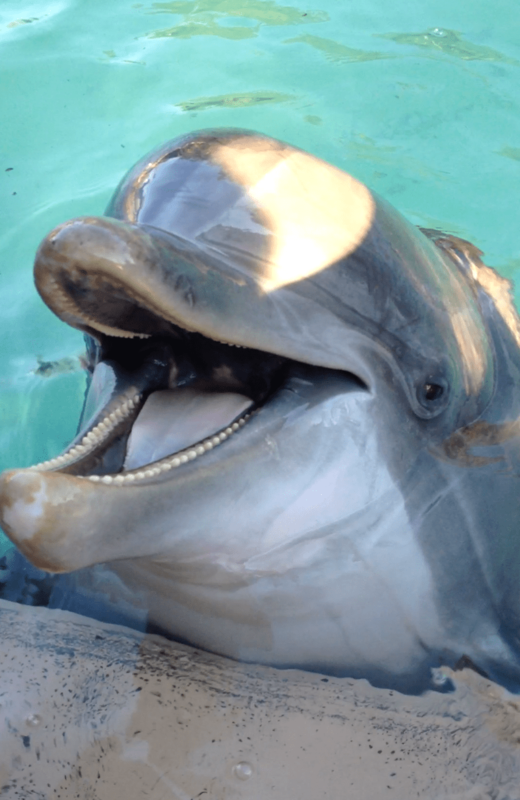 I am really sad to read this..if your daughter really loves dolphins so much, do point her out to the right direction – https://dolphinproject.net/youth-ambassadors/ dolphin’s don’t belong in captivity, for entertainment, and these shows and dolphin ‘prisons’ give kids the wrong impression. I urge you to watch blackfish with your daughter, or watch it yourself and you can then decide to make these choices to visit the likes of sea world. I hope you don’t take any offence to what I am posting. I am just doing my work as a marine biologist and highlighting the ethics of travels.. Thank you for reading, Samiya. I was quite surprised, when we were at SeaWorld how small the space for the Orcas was. My daughter might be too young to watch Blackfish, but we’ll definitely be more careful in the future to make sure the places we visit take care of the animals, and do not mistreat them. No offense taken. My daughter wants to be a marine biologist as well!